One of my favorite honeys is FIREWEED HONEY, it has a light delicate almost buttery flavor. This beautiful plant is known as the first to grow after a fire and to rapidly populate the area and make way for the forest to recover. With its pink to magenta flowers which grow on a single stalk in a spike shape from two to six feet tall and the ability to colonize quickly. It covers the land, which was lost to the devastating flames of a fire, with the flaming beauty of love from nature as she rebuilds her forest. The fireweed plant has many uses in Native American culture; from a food source, to using it in teas for some medicinal uses. Fireweed not only gave new life to the land, but is said to help give new life to the body as well. According to a Native American legend, every fireweed plant is the soul of a tree that was burnt in a forest fire. The FIREWEED HONEY is light yellow in color with a very pleasant flavor and is quick to crystallize. Coming from the forest and open lands, fireweed honey comes from a natural source without the nasty chemicals that man likes to use. 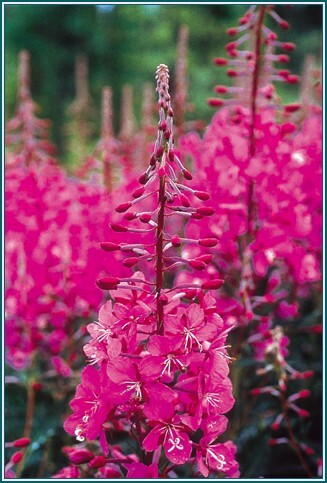 Fireweed is clean, real, pure, natural, and is planted by nature and not by man. Fireweed Honey is one of the best honeys I know. One of nature’s best. There is a bad side to fireweed honey, sadly but true. Some people will actually make fireweed honey from the flowers with alum, sugar, water, and clover blossoms. Boiling the mixture, filtering the mixture, and calling it honey. Oh the shameless fools. Remember honey comes from the bees not the kitchen. Welcome to 2015! It has been a hard transition getting into the habit of writing 2015 instead of 2014. We are super excited for big changes this year, are you? We have a lot of customers that want to use honey, but are unsure how to use it. Honey can be used successfully in place of sugar with everything that is made. I love to cook with honey because I know the fantastic benefits of honey and how it works in the body. I do like to use it in baking; however, I try to only use it in small amounts. I love to do what is called raw food cooking; this means that I keep the honey as raw as possible in everything that I make. For example: I make raw food bars, add it to tea, and love to eat it straight of course by dipping our fruit in it. Any time we make a sauce with honey we add it at the last minute. Meaning we cook chicken and then add the honey as we are about to serve. This makes an excellent sauce or glaze while at the same time keeping it in raw form. If a recipe calls for a sauce, I will cook the other ingredients of the sauce on low heat and add the honey at the very last minute to mix thoroughly. This again prevents any loss of nutrients or benefits. There seems to be a variance on the temperatures that can be used to heat honey and not cause any damage. From what it looks like I can safely say that anything above 110 degrees F is pushing it. In the hive, bee’s put the honey in the comb at a temperature of 98 degrees- 104 degrees. So that is why we like to stay at about 110 degrees F. Never microwave honey or a swarm of bees will come and sting you on your knee cap.If you’re heating honey for more than a couple of minutes, then do it on super low heat to keep it as raw as possible and for as short of a period as possible. My favorite thing to do is to use honey as a dip, this is a great way to keep the unique flavor of honey at its best. Our favorite saying is KISS; Keep it simple silly!! Don’t make more work for yourself then you have to, the simpler the better.